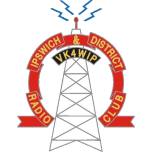 Prospective or licensed amateurs, CB radio operators, shortwave listeners and radio or electronic hobbyists of any gender or age are all welcome to join the Ipswich & District Radio Club Inc. Joining the Club helps to defray the costs of maintaining the repeaters and other Club equipment plus assists in paying for the outgoings associated with the Clubhouse. The Club has it’s own premises in the Ipswich CBD which was built in 1967 by the early members. 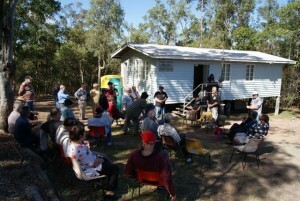 In 2012 the club celebrated the 50 year anniversary of it’s founding in 1962. The clubhouse is the venue of most activities of the members and is the location of VK4WIP the callsign of the Club amateur radio station. Members are encouraged to operate the radio equipment in the radio shack, even non licenced members or foundation members can talk on the equipment at high power under the guidance of an advanced amateur. Training and assessment of all classes of amateur licences is done at the clubhouse. The flagship of the many and varied pieces of radio equipment the club owns and operates is the Yaesu FT-5000 HF transceiver. 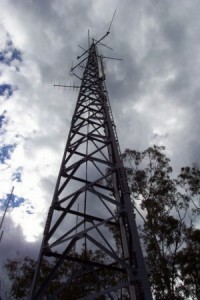 Among the antenna’s at the clubhouse is the huge High Frequency nine element log periodic beam, it is mounted atop a tower and is rotated by a heavy duty Yaesu rotator. A 80 meter full wave loop is the primary antenna for that band. 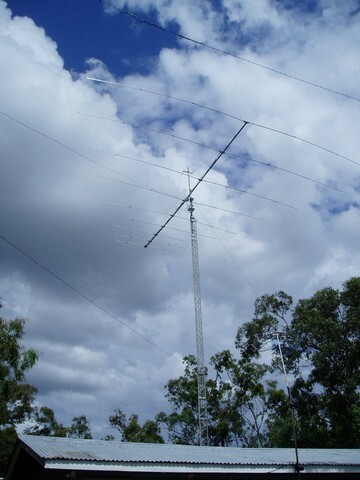 Various other antenna’s are available for VHF/UHF use. The Club’s analog and digital Repeaters provide excellent coverage over most of Ipswich and surrounding districts, the western suburbs of Brisbane and can even be heard as far as parts of the Gold and Sunshine Coasts. To preview the form, left click. To download, right click and select, save target as.